With almost one month of the new year behind us how are you getting on with your New Year’s resolution to better your life? Did you come up with something, new or did you just recycling last year’s resolution? Maybe this isn’t the first time you’ve adopted a quit smoking resolution, but even if it is, maybe it’s time to try electronic cigarettes. They’ve been out for a while so you’ve probably heard a little bit about them and with Vape stores popping up around the country at this point you’re bound to have developed an opinion. There are all sorts of stories that circulate the media, some bad some good, but often times these stories are blown out or proportion or sensationalized just to attract readers or viewers. These stories have created misconceptions that keep smokers away from trying these potentially helpful devices. Don’t let popular misconceptions fool you, the reality behind e-cigarettes may be different than you think. Some headlines may have reported about the dangers of e-cigarettes in ways designed to scare you. These stories claim that e-cigarettes have everything from aldehyde to diacetyl (a chemical flavoring linked to lung disease) however what these fail to mention is that regular cigarettes themselves contain the same ingredients and, in fact, in much larger quantities. Many expert confirm the fact that e-cigarettes are safer as well. Previous studies have shown that e-cig vapor contain 1/20th less carcinogens than the cigarettes they often replace. Most recently and notably, Public Health England published reports stating that e-cigarettes are in fact 95% less harmful than the old-fashioned cigarette model. While research is still need to determine the exact effects of long term e-cigarette vapor exposure, the initial findings seem to show that there is little doubt they are leaps and bounds healthier than regular cigarettes. First off, this is not a misconception, just an exaggerated concern. There is an explosion risk with e-cigarettes, but there is also an explosion risk with any rechargeable devices. When devices are not used as directed and with the correct charger, the risk of explosion increases. While well-made devices that are properly cared for should have little risk associated with them at all, there are a few practices you can take that ensure you will have a safer e-cigarette device that is less likely to malfunction. First, buy from a reputable source preferably a USA made brand. Beware of counterfeits that may have been produced in substandard factory conditions. Secondly, only charge your device with the provided charger in a wall outlet. The cases of explosions that we do see often come as a result of improper voltage or malfunctioning during charging. Even after you’ve taken these precautions, always remember to never leave the devices charging overnight or unattended. In case of spark, you will want to be nearby to lessen any potential damage or spreading of the possible fire that could result from an overheated or malfunctioning battery. There is an initial startup cost with e-cigarettes if you opt for something other than the disposable cig-a-likes. However, with cigarettes costing as much as £5 to £10 a pack, the costs accrues rather quickly. 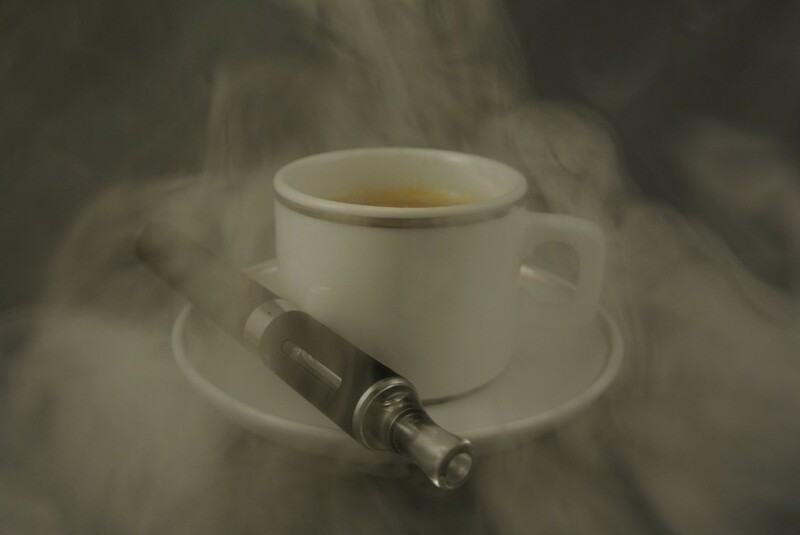 While it is true that most e-cigs have a startup cost, due to the overall saving you will accrue with e-liquids, e-cigarettes become much cheaper over time. On average a user who once smoked a pack a day can save around £2600 a year, which more than makes up for the small startup cost. A lot of people who keep clinging on to their cigarette pack do so because they have tried e-cigarettes before and decided they didn’t like them. Maybe you tried e-cigs years ago before the technology advanced, or maybe you tried a device or e-juice that just wasn’t right for you. In either case, many vapers will tell you it takes a little bit of trial and error before you find the device and e-juice that is right for you. Think about it, do you still smoke the first brand and strength of cigarette you started with? Don’t get discouraged and think about giving it another go. Try a different kind of device or flavor, in fact you’ll probably want to try several flavors to find the combination that works before for you. Once you find that winning pair of a device and liquid, you will likely find a few other choice e-juices that you add to your rotation as well. Vape… Cartomizer… OHMs… Drippers…. PV or VG… ADV… APVs… what does all this mean? I know it can seem overwhelming at first, but before long these terms will be clear to even a novice vaper. And while the wide range of choices in e-juice can be daunting to undertake, try and remember that it can be fun as well, something you probably haven’t experience with regular cigarette experimentation in the past. If you feel overwhelmed there are always reviews and articles that can help clear up any questions you may come across. There is a lot of mystery surrounding e-cigarettes and whether they actually can be used as cessation devices for those looking to quit. However, thousands of people are finding that they are able to reduce their harm and cut back or quit smoking completely. Regardless, even if you aren’t trying to quit, it might be time to put those popular misconceptions about e-cigarettes to rest. With e-cigarette clocking in as cheaper, healthier and, in all honesty, more fun than regular cigarettes, there really is very little reason not to give them a shot this new year, especially if you’ve struggled in the past. 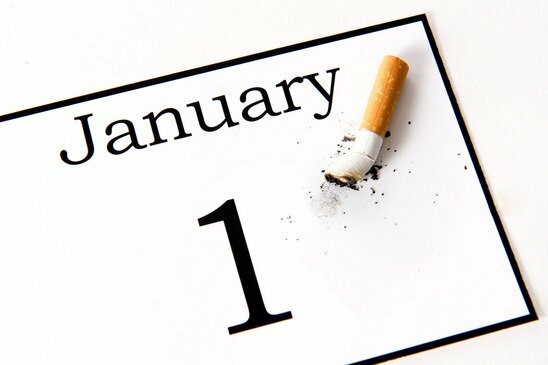 Let this year be the last year you recycle that old “Quit Smoking” resolution and finally kick that habit for good. If you want to get back on track with your new years resolution we are here to help. Take a look at our starter packs or stop by one of our stores and a member of our friendly team will be happy to help. UK smokers are being encouraged by the Royal College of Physicians (RCP) to switch to e-cigarettes as a safe and effective way to stop smoking. In a report released by the well-respected medical group, eyebrows have been raised following conflicting reports from sources in the USA. RCP has conducted several scientific studies to look deeply at the perceived harm and the benefits of e-cigarettes and their associated devices. While evidence shows that as a stop smoking aid, e-cigarettes are proven to be more harmful than other nicotine solutions such as patches, e-cigarettes are 95% less harmful than regular tobacco cigarettes. Over the pond, the Centers for Disease Control and Prevention in the US has focused its attention on the hazards as opposed to any benefits. Teen smoking, which continues to be an issue in the states, has led to a ban in appealing flavours such as chocolate and cherry. The CDC also recently declared that e-cigarettes have now overtaken regular cigarettes in middle and high schools. For the US, the use of e-cigarettes in this age group and these concerns that they are a route to smoking, are overshadowing any perceived benefits to those wishing to stop. Back in the UK, the RCP are confident that there is no evident that e-cigs are a gateway to young people smoking. Their report focuses on the benefits of getting smokers off regular cigarettes and reducing levels of tar and other cancer-causing chemicals. What is also supporting the growth of e-cigarettes in the UK is the part regulation taking place. In 2015, the UK released voluntary standards for the manufacture, labelling and marketing of e-cigarette and vaping products including the banning of sale to minors. Can Avid Vapers help you to achieve a healthier lifestyle and quit today? e-Cigarettes – Is it all a puff of smoke? Now three months into the year, the New Years resolutions are a distant memory. For many, stopping smoking, stop smoking aids and of course the easiest way to stop smoking is key. 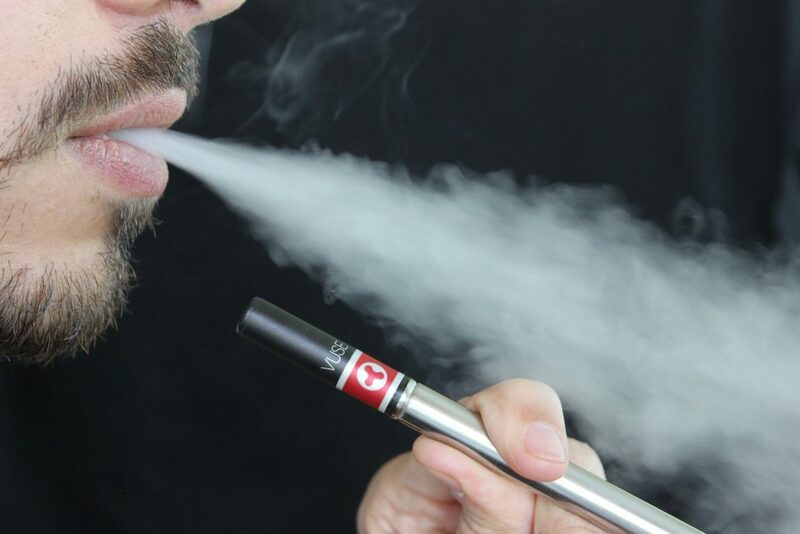 With some 2.6 million people now using e Cigarette liquids in the UK, clearly there are benefits but what is the evidence available to help people make the decision to make the switch? For us at Avid Vapers, our business model and ethos is about helping people to save money, as well as improving their health. So lets take a look at the facts. This pricing comparison is based on a refill basis and so monthly subscription can help e-Cigarette users to save even more. We offer 4 types of subscription from The Little Vaper for those starting out, through to our huge Jedi Vaper subscription package for £25 a month – almost the same as the cost to smoke 20 cigarettes a day for 1 week. Using our brand new website, you can tailor your flavour options and nicotine strength to suit your own individual requirements. Perfect right? So with money in your pocket are there any other reasons to switch? Until recently, there has been much focus and research about the real health benefits of moving from traditional to e-Cigarettes. For us, the real benefit comes from the lack of smoke. Yes e-Cigarettes contain nicotine, but they are now deemed to be 95% safer than traditional smoking according to Public Health England. Why is this? Apart from the obvious reduction in ash, odour on clothing, hair and people’s homes, premature skin aging and yellow teeth and fingers, there are some serious statistics available to help you make up your mind. According to recent research, over 80% of all lung cancers are caused by cigarette smoke and 76,000 lives a year could be saved by making the switch to e-Cigarettes. Cigarette smoke also puts smokers at a 3 x increased risk of a stroke, and can reduce your lifespan by a whopping ten years. Eek! And its not just you that could benefit. With over 7,000 mainly toxic chemicals in cigarette smoke, 600,000 people actually die per year from passive smoking. Something already proven to not be associated with vaping. While the jury may be out on some minor aspects of electronic cigarettes, the evidence continues to swing clearly in its favour. The increase in use from 2.1 million in 2014 to 2.6 million in 2015 has directly corresponded with a decrease in smoking levels making them the most popular quitting aid in England today. The NHS continues to pay attention, with talk of e-Cigarettes being funded by prescription in 2016. We will continue to watch this space and share our thoughts with you. In the meantime, visit our brand new site at www.avidvapers.co.uk and see if we can help change your life. We are experts in all aspects of e-Cigarettes with shops in Saville Street and Hessle Road in Hull. We can help with guiding you on what equipment to use, what nicotine levels might compare to traditional cigarettes and ultimately help you to Switch and Save. Sources: Public Health England, NHS, Stroke Association, Action on Smoking and Health, CDC Surgeon General’s Report 2014 (chemicals in smoke), Tobacco Manufacturers Association. We all know smoking is bad for your health but exactly how does stopping make your life better. Smoking hinders your body’s blood flow. This starts to restore as your reduce the amount of tar you are putting in your body from smoking so stopping smoking will improve blood flow which improves sensitivity. Studies have shown men who stop smoking may get better erections, women may find their orgasms improve and they become aroused more easily. It has also been found that none smokers are 3 times more attractive to the potential partners. Its easier for none smokers to get pregnant. Stopping the cigarette improves the lining of the womb and can make men’s sperm count. Becoming a none smoker increases the possibility of conceiving through IVF and reduces the risk of a miscarriage but more importantly it dramatically increasing the likelihood of giving birth to a healthy baby. A recent study found that stopping smoking can slow facial ageing and delay the appearance of wrinkles. The skin gets more nutrients and can reverse the lined complextion that smokers often have. Giving up on tar and tobacco steps teeth becoming stained and you’ll have fresher breath. 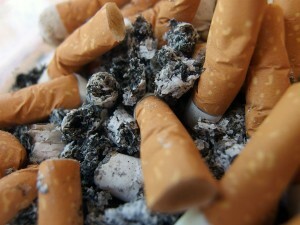 Smokers are also at higher risk of getting gum disease and losing their teeth prematurely. Stopping smoking will increase your lung capacity by up to 10% within the first year allowing you to breathe easily. In your 20s or 30s you may not notice it is getting hard to breathe until you go for a run although as you get older this will become more apparent. This is because lung capacity naturally decreases with age. Smoking accelerates this process. Here is a shocking statistic – half of all long term smokers die early due to a smoking related disease such as heart disease or lung cancer. Men who quit before they are 30 can add up to 10 years to their life expectancy. People who stop smoking at 60 can add around 3 years to their life. People smoke because of stress. Wrong. Scientific studies have shown that people who have quit smoking have lower stress levels then when they picked up a cigarette. The improved levels of oxygen in the body mean the ex-smokers can concentrate better and increased mental wellbeing leading to less stress. Kicking the cigarette habit gives your senses of smell and taste a boost. As the body recovers from being dulled by the hundreds of toxins found in cigarettes you will find you can taste and smell more. Your blood circulation will improve within 2 – 12 weeks of quitting making all your physical activity such as walking, running and cycling much easier. Smoke free homes will protect your partner and kids. Passive smoking or second hand smoking is just as dangerous as smoking the cigarette yourself. Second hand smoking is even worse for children and can double their changes of developing cheat illnesses and pneumonia. You can receive almost all these benefits in full by switching to e-cigarettes and still have the nicotine you crave from smoking. To get started take look at our starter kits with everything you need delivered to your door for one low price. Start living a healthier life.